DPS6015A is a single output programmable high power switching power supply. Specifications are input voltage 15-80V to output 0-60V, 0-15A, intelligent temperature control fan heat dissipation, the maximum output power of up to 900W, high output power, small volume, DC-DC modular design. Isolating 485 communication interface, isolating 232 communication interface, and equipped with TTL serial communication interface, providing serial communication protocol, supporting user\'s two development, and providing a multi-purpose solution based on your design and test requirements. 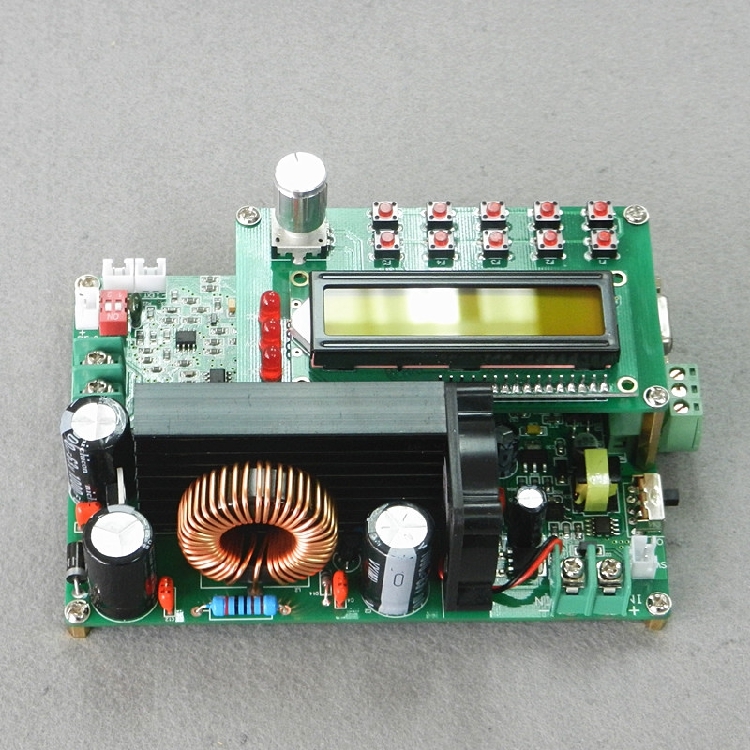 L very wide DC input voltage range: DC15V to 80V, suitable for various front input power supplies. L operation buttons and multifunctional encoders combine operation, convenient and easy to use. 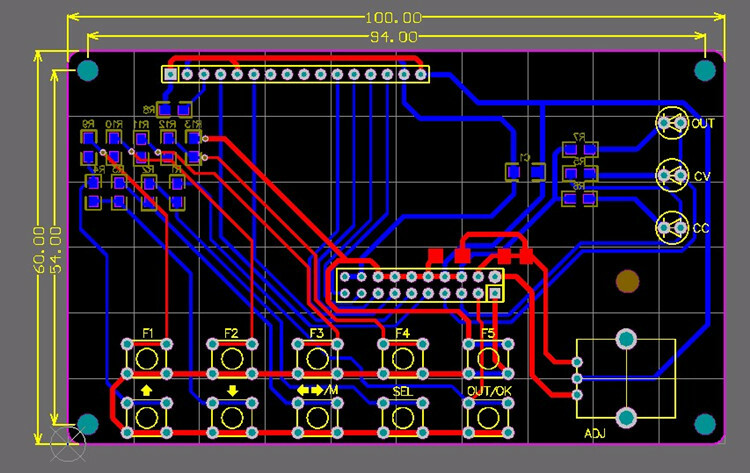 L can adjust the voltage and current by adjusting knobs and keys. 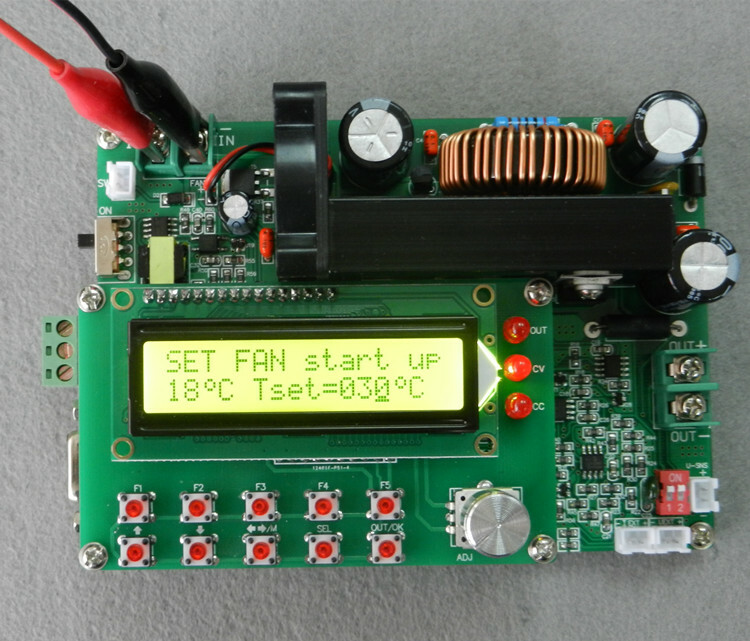 L can measure output voltage, output current, output power, output power (AH), working time, and power device temperature. L has output shutdown function, and the key opens or closes the output flexibly. 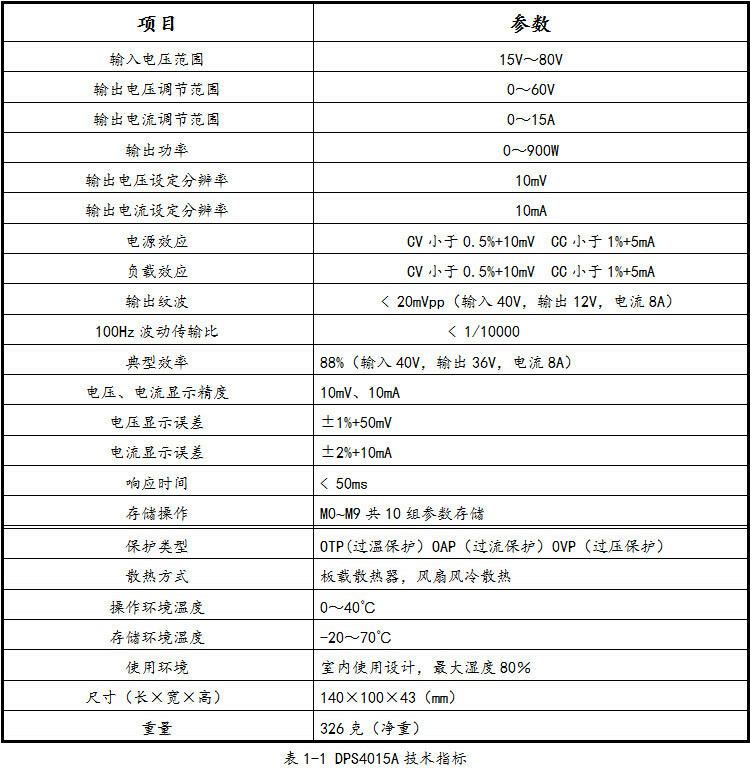 L M0~M9 10 sets of parameter settings can be easily transferred at any time. 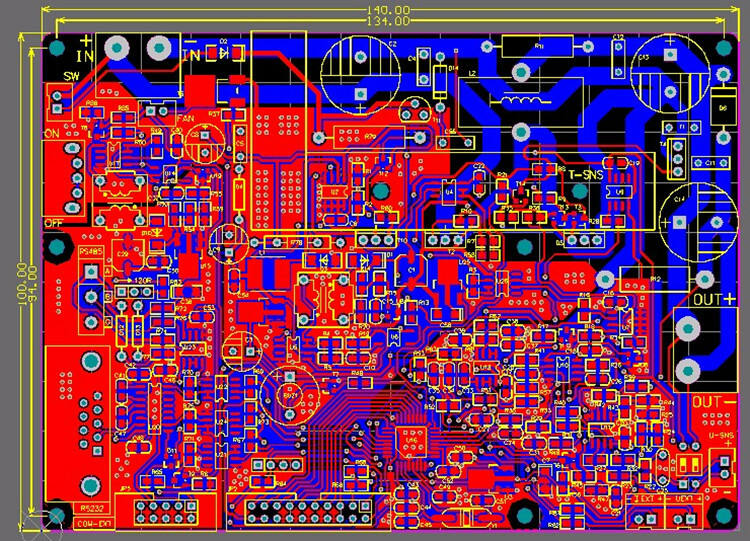 L has isolated TTL serial communication and improved communication protocol for centralized control. l Keystroke calibration: in the process of use, if the button function is misplaced, it can be opened by pressing the OK button long and pause for 5-7 seconds after the pause, and the key can be calibrated. When you check the working state, you can display the working time. Set over temperature protection, when the temperature of the machine exceeds the set temperature, the machine can automatically cut off the output, in addition to the over temperature protection, the machine can also set overvoltage protection and overcurrent protection. 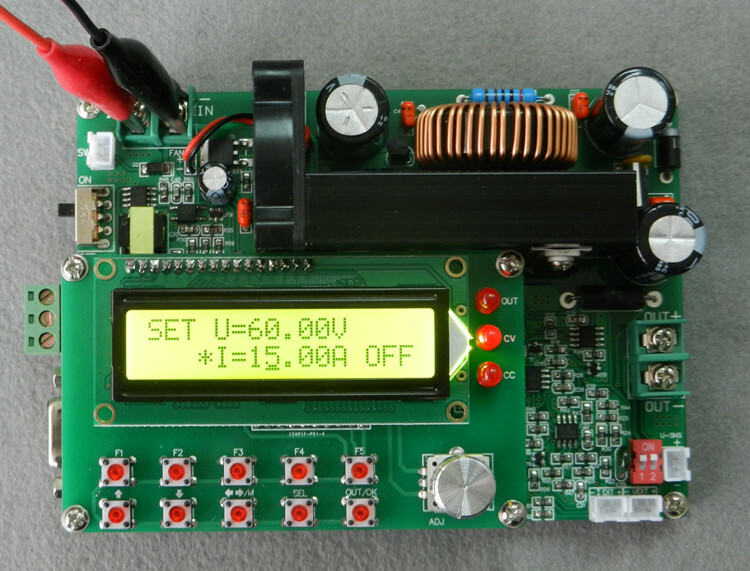 Under working condition, set 29.99V 5.02A output, load display 29.553V, 5.001A, voltage is low because of line.The pressure drop on the road is normal. 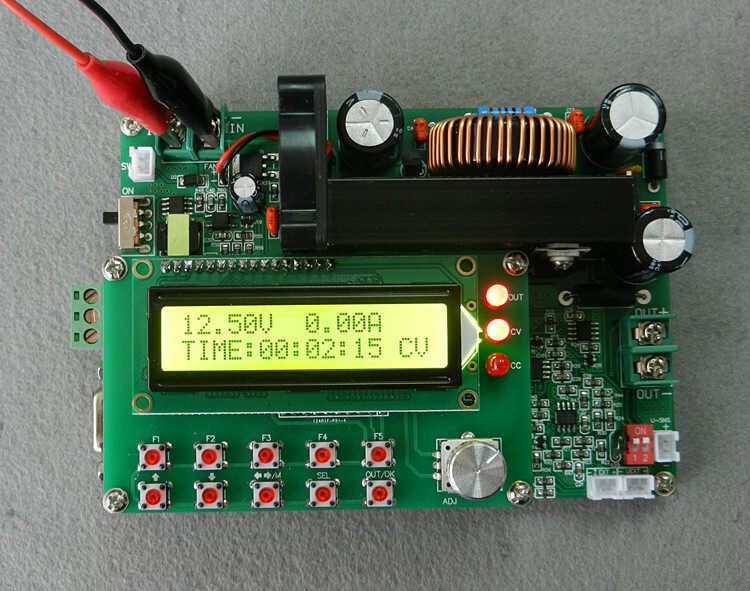 If necessary, this module can set the voltage compensation to make the output.The voltage is not bad! When online control is not available, you can move the cursor through the keys and rotate the encoder to set the size of the output voltage and current. 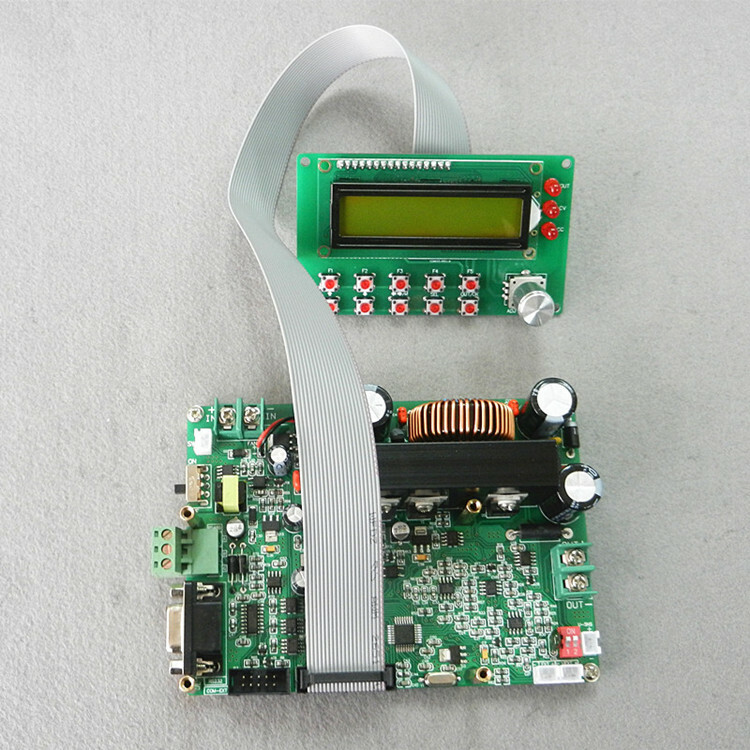 In the process of output, alsoYou can change the output voltage and current size by moving the cursor through the keys and rotating the encoder. 1, how can the power supply work normally? 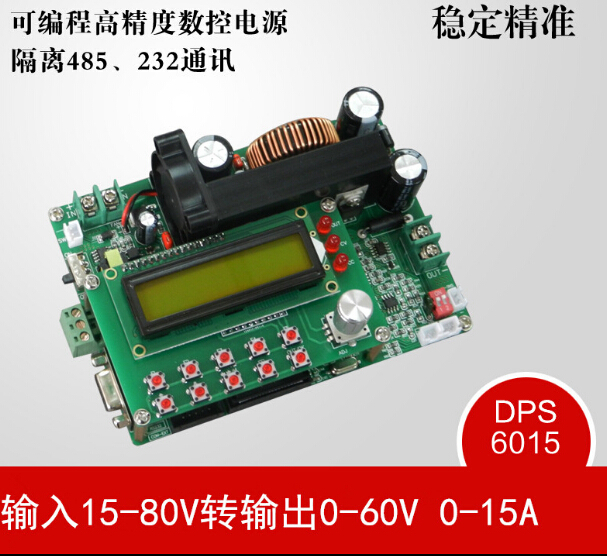 Answer: DPS-6015A is a buck type DC to DC power supply, input voltage range 15-80V as long as the power supply voltage is higher than the output voltage 2V, the power conservation can work normally. 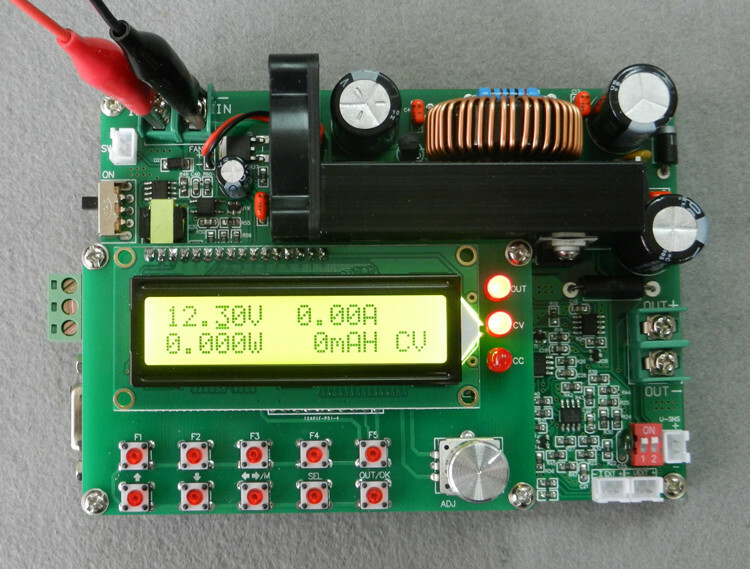 2.How much is the output of this power, what is the accuracy and whether it can be constant pressure and constant current? 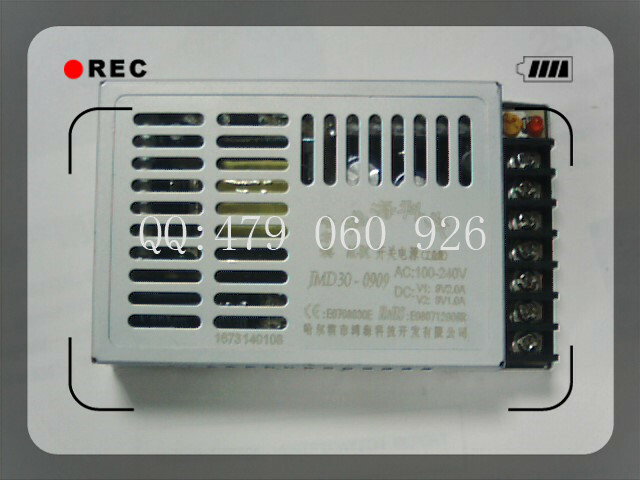 Answer: the maximum output of this power is 60V, 15A, voltage resolution 0.01V, current resolution 0.01A, and constant voltage and constant current can be achieved. 3.Can you control this power with a computer? 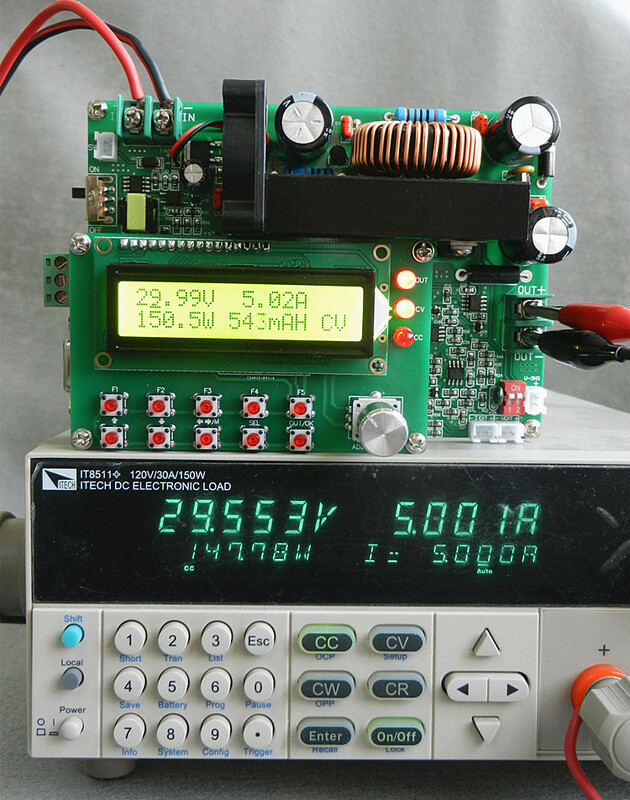 Answer: this power supply has 232, 485 and TTL communication interfaces. We have a matching host computer software that can be used to control power through computer software. In addition, our custom communication protocol is open source, supporting you for two development. 4.After using the modified line, the power button or screen display is in disorder. Is it bad? Answer: the restructure line is long, due to external interference or signal attenuation, the appearance of power key or screen disorder is normal, not bad, and will not affect the normal output. 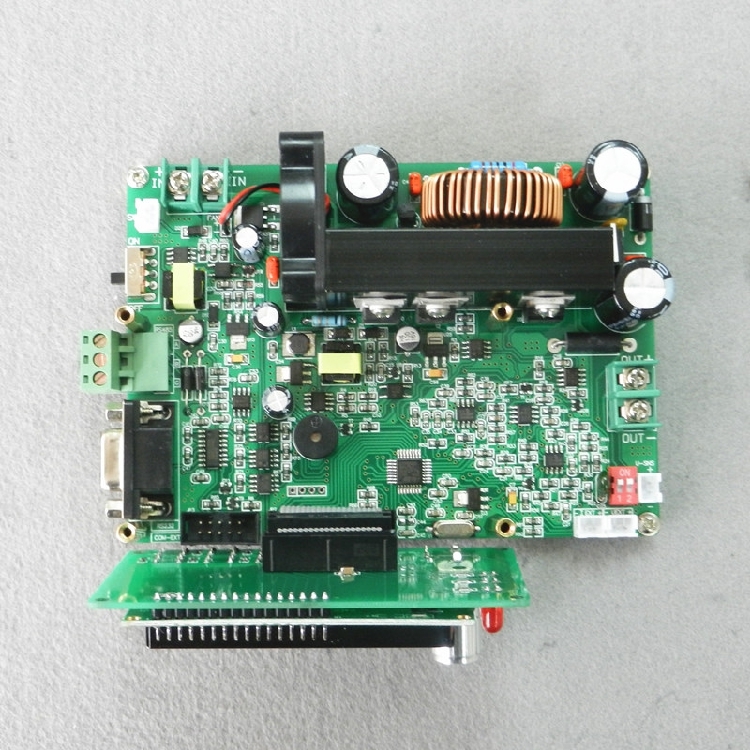 Our power has the initialization function, can let the control board restore normal, the operation follows: long press out/ok key, from the new power supply, when the screen shows stability when the button is loosened, the initialization can be achieved. 5.Is it possible to realize automatic output, overvoltage and overcurrent protection after power on? 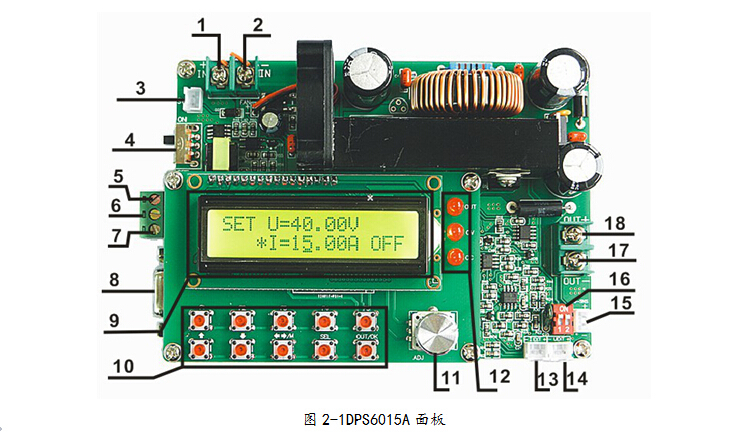 Answer: can realize the power automatic output, overvoltage, over current protection function, the specific operation is not detailed here, please download the instructions of our products to complete the detailed understanding. 6.What\'s wrong with my PC software after installation? Answer: your computer can not be used normally because of your driver and computer system mismatch. Different versions of the computer system need to install different versions of the driver. You can download the drive of the system to our official network. If no, you can download it on your own. This driver is universal.